Introduction in business means to formally make the business known to another party. It not the same as friendship introduction where one could simply say the name and go for a beer. Worldwide businessmen engaged in international commercial transactions often fail presenting their business properly. That results with the loss of business relations and loss of possible opportunities and sales of goods and services. You should read this article with the purpose to understand how to properly introduce your business. You may receive this article as the link to it, or as an email article. There is a reason, why this article was sent to you, and you should better act upon it. 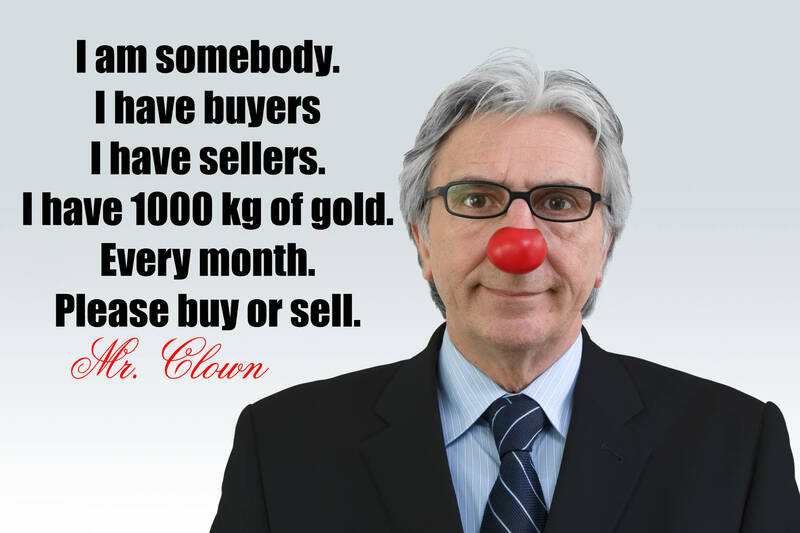 Do not be a YABC or Yet Another Business Clown. Properly introduce yourself. This article may be found on https://www.rcdwealth.com/rcd/reach/article/proper-business-introduction.html and is licensed under GNU Free Documentation License. A business is by the definition from a Wordnet dictionary the activity of providing goods and services involving financial and commercial and industrial aspects. Another definition of the word business is a commercial or industrial enterprise and the people who constitute it. The enterprise may have various legal forms such as a sole proprietorship or a limited company or as a partnership or corporation or it may be free of any legal form. Commerce transactions of sales and purchases have the objective of supplying commodities, goods and services. Intermediary is a negotiator who acts as a link between parties. A mandate is a document giving the authorization and powers to a close or connected party to bind a business or perform transactions for the business. If you are any kind or type of business, be it as an individual or partnership or a company with limited responsibilities, you should introduce yourself properly to the other party with whom you wish to make transactions of trade, or supply or purchase goods or services. Most of all, in business, it is also expected that you present your formal and legal information to other parties. Many of the countries require companies to present their information in proper legal form, such as the name of business, the company number, the names of directors, the address and similar other legal information. It is common sense that if you sell any goods or services, that you should also put attention on the location of those goods or services provided, and also on the location of the clients or the other party. By supplying your first and formal information about your business, you should use the common sense and think what information is of the essence that will help the other party make proper decisions? This checklist is what our company RCD Wealth expects of a business party when presenting themselves to us. We are using it when presenting our business to other parties, so you should be using it when presenting your business to our company or to any of our connected businesses such as Goldivanti LP or Start Your Own Gold Mine. Introduce the name and type of your business. If your business is a corporation, you would tell us about it in the company name such as ACME INC. where "INC." related to "Incorporated" meaning it is a corporation. Or we would know it by the word "Limited" that your company is a limited company. If you are an individual or intermediary, introduce yourself as such. Introduce the location of your business. Such location shall include minimally the city and the country, if not the full address. Many laws of various governments require businesses to introduce their full registered address. Introduce your website, phone number, and other information how you can be contacted, and how we may know more about you. Introduce the location where your goods or services are provided, as if you are selling gold, or diamonds, and you are located in Brazil, but diamonds are located in Sierra Leone, and we are maybe with managers in Tanzania or Tacoma, United States -- this all matters for proper business decisions. Not every company is buying internationally on each inquiry from far distant countries. If goods are in the same country where we have a business, it makes it all much easier to make a business decisions. Disclose all the necessary legal information. Dealing with some commodities such as gold or diamonds, requires our business to observe any suspicious transactions. Failure to provide information is making your party suspicious, and it may give us problems as we may be required by laws of various jurisdictions to report the suspicious transactions, in order to prevent terrorism or money laundering. Today is almost any transaction "money laundering" for the cruel and greedy governments. Do not bring us into uncomfortable situations. Describe your goods and services and be very specific. That is number one in sales of any goods or services. Describe it, provide details, provide specifics, the location of goods, the qualities, numbers, amounts, colors, clarities, the source or origins of goods, and all other information that may be necessary. The checklist alone does not represent the proper introduction. You may be an intermediary who wish that our company in Europe purchases some diamonds. We don't mind who is an intermediary, but in the first place we need to know the party that is making the actual sale. Usually, intermediaries lacking education in business, do not even have ready agreements to act as intermediaries. And same may be said for those who claim to have a mandate document. For that reason, and with the lack of proper agreement for intermediary and their commissions, such intermediaries may often spoil the opportunities they would be expected to bring to the parties. They fear the lack of commissions and thus do not disclose their parties. They lack the common sense and legal background. If you are an intermediary, say so, and do not disclose the parties you are introducing. We are really not interestd in childish approaches. That is why you are receiving this article. If there is a party to sell to us anything, be it goods or services, we wish to know the basic details of that party. The party that is to make transactions is the business party to be properly introduced. We do not mind how many staff or associates or affiliates or original manufacturers, or gold and diamond miners are there involved, we do not care of that. We wish to know legal and formal and common sense details of the party that is offering us goods and services. Just forget that. That kind of approach is lacking the substantital business information such as company name, managers, company's address, company's number, city, country, and contact details. We are checking out the companies we deal with. Hiding your information tells us you are of no use to you and to your parties you are pretending to put together. In fact, if you act without the substantial information and you ask for Letter of Intent, or commitment or "proven interest", you are making yourself a dumb clown, and we laugh about you in our offices. Do not waste my precious time, as I rather like drinking a Tanzanian coffee or doing nothing, than explaining you how to present your business properly. Act by common sense. Your next approach to the business shall contain the minimal points explained here in the checklist for proper business introductions.